LA Voice is a multi-racial, multi-faith community organization that awakens people to their own power, training them to speak, act, and work together to transform our County into one that reflects the dignity of all people. We believe all people have power and a voice. Every day we amplify that power by uniting diverse faith voices to stand-up for what their communities need, winning changes that improve the lives of all Angelenos. We are made up of 57 diverse churches, synagogues, and mosques representing more than 40,000 families in Los Angeles County. Together we are leading some of the most important fights for justice and equity in the region. Umar Hakim is the Executive Director of the ILM Foundation and a member of Masjid Ibaadillah. In addition to organizing with LA Voice, he is an active alumnus of USC’s American Muslim Civic Leadership Institute and NewGround Muslim- Jewish Partnership for Change. He is currently serving as executive director of the ILM Foundation. Francisco Flores attends Blessed Sacrament Catholic Church in Hollywood. He is an art and design specialist and has been involved with LA Voice for over seven years. He is a Salvadoran immigrant. Ange-Marie Hancock Alfaro is Dean’s Professor and Chair of the Department of Gender & Sexuality Studies at the University of Southern California. 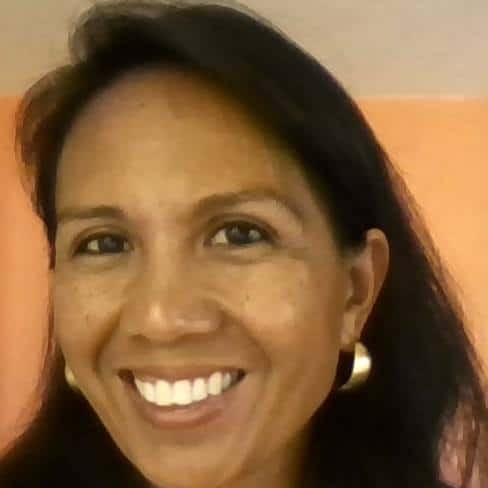 Her recent collaborative work includes service on the Board of the Liberty Hill Foundation and work with both Hispanas Organized for Political Empowerment (HOPE) and the Los Angeles African American Women’s Public Policy Institute (LAAAWPPI). She sits on two boards: Community Partners and LAAAWPPI. 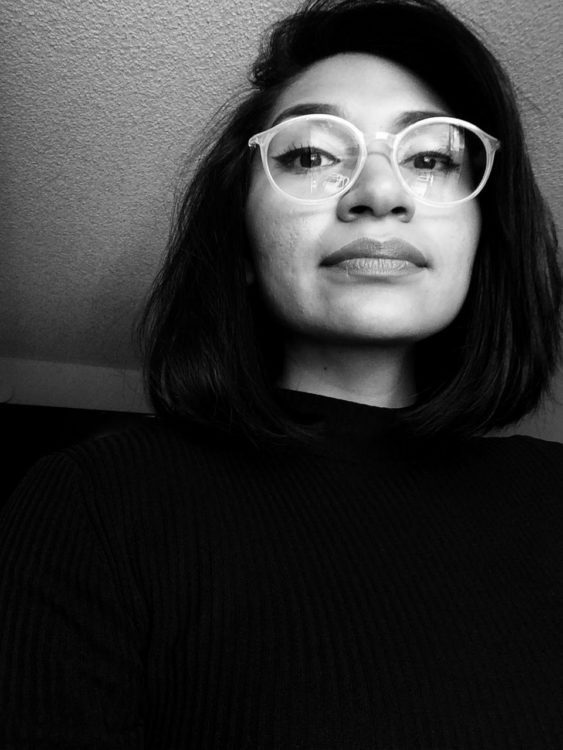 Today Dr. Hancock Alfaro is also the Founder of RISIST, the Research Institute for the Study of Intersectionality and Social Transformation. Manjusha P. Kulkarni (Manju) is Executive Director of Asian Pacific Policy and Planning Council (A3PCON), a coalition of forty community-based organizations that serve and represent the 1.5 million Asian Americans and Pacific Islanders in Los Angeles County. Manju also serves as a Lecturer in the Asian American Studies Department of UCLA, teaching “Ethnic, Cultural and Gender Issues in America’s Health Care Systems” and “South Asian American Communities.” Manju was recently appointed by Speaker Anthony Rendon to serve on the California Civil Liberties Public Education Program Advisory Committee. Brie Loskota is the executive director of the Center for Religion and Civic Culture at the University of Southern California. She is co-founder and senior advisor to the American Muslim Civic Leadership Institute and implementing partner for the United State Institute of Peace’s Generation Change program where she trains emerging leaders committed to peace-building who from the Middle East, Africa and South America. Scott Minkow received his BA at Stanford University and spent several years working in Northern California. Scott then returned to L.A. for graduate studies at USC and Hebrew Union College. Since then, he has worked for most of his professional career within local and national Jewish organizations, focusing on development, programming, innovation, and grant-making. What inspires him most is building community and strengthening connections. Daria Nuñez attends Dolores Mission Church and has been involved with LA Voice as a leader for more than seven years. Ms. Nuñez is also a member of the Board of Commissioners of the Housing Authority of the City of Los Angeles (HACLA). She is an immigrant from Mexico. Rev. 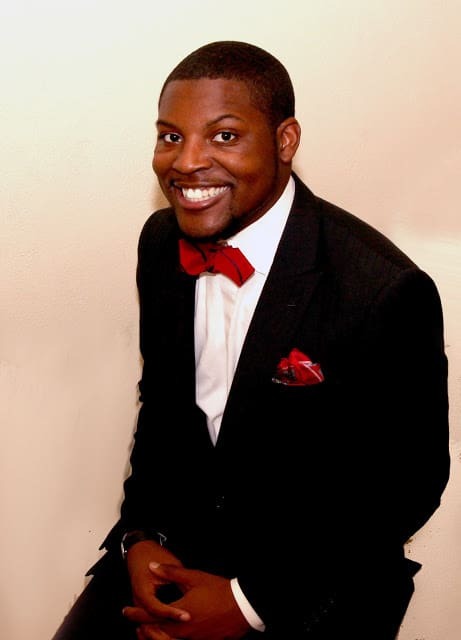 Eddie Anderson is a graduate of Morehouse College and Claremont School of Theology. He currently serves as the Senior Pastor at McCarty Memorial Christian Church in Los Angeles where his primary task has been calling forth a new moral imagination by working for the dignity, justice and love for those with their backs against the wall of oppression through lending his voice and body to the movement for Black Lives and various other activist efforts in Los Angeles. Rachel Bishop is the Development and Operations Director for LA Voice. She came to Los Angeles from Brooklyn to join the LA Voice staff in June 2015. She previously served as Development Director for United Community Centers, a social justice oriented community center in East New York, Brooklyn. Prior to that, she spent five years with the League of Young Voters in a number of roles ranging from Operations Assistant to National Programs Director. She has a B.A. in Political Science from New York University. In her free time, she likes to make music, cook food, and take naps. 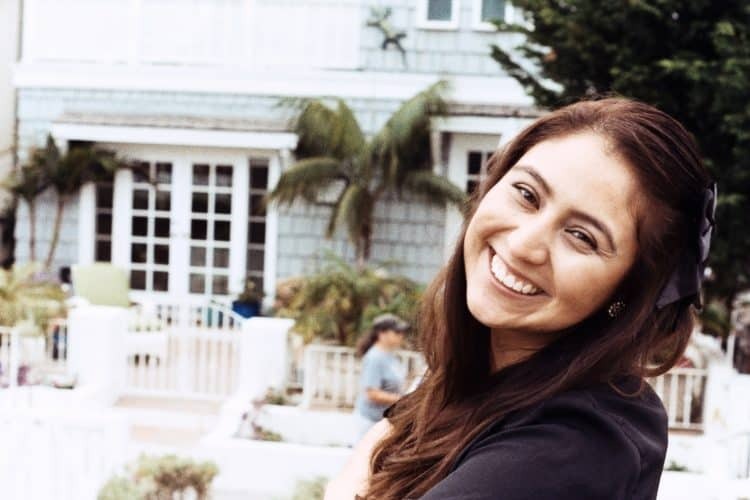 Yvonne Figueroa was exposed to community organizing while attending California State University Long Beach. After graduating, she worked on various political and community campaigns before joining the labor movement in the long term care industry. On her off time, she leads communications for her church in Lancaster. She loves hiking, camping, reading, live music, eating, and is open to all kinds of new experiences! 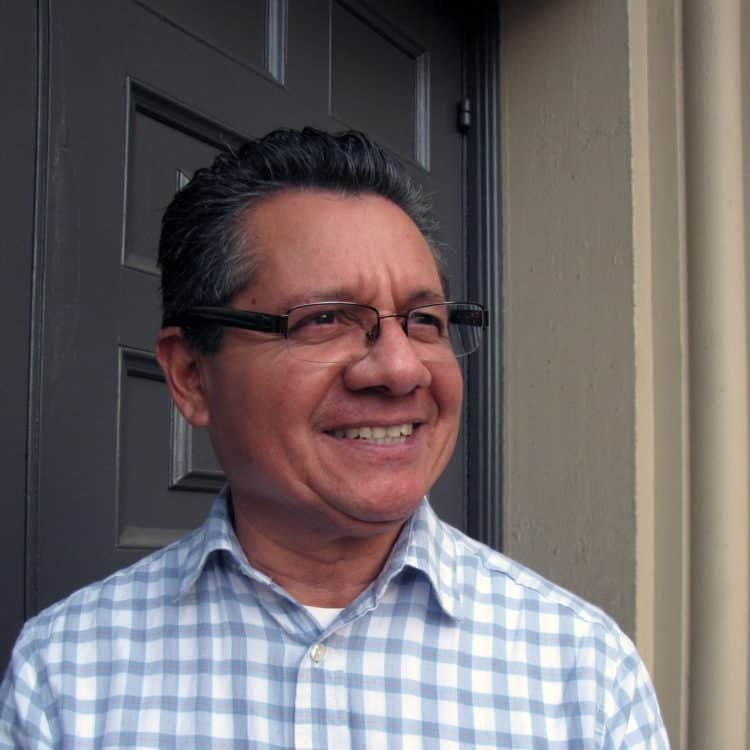 Mario Fuentes joined the LA Voice team 5 years ago coming from a background of organizing with labor, communities of faith and in the Central American community. Mario currently leads our work on Immigrant Integration in LA City, County and coordinates with PICO our state and national work. Mario enjoys spending time with his wife and two daughters by visiting local attractions and the simple comforts of home. 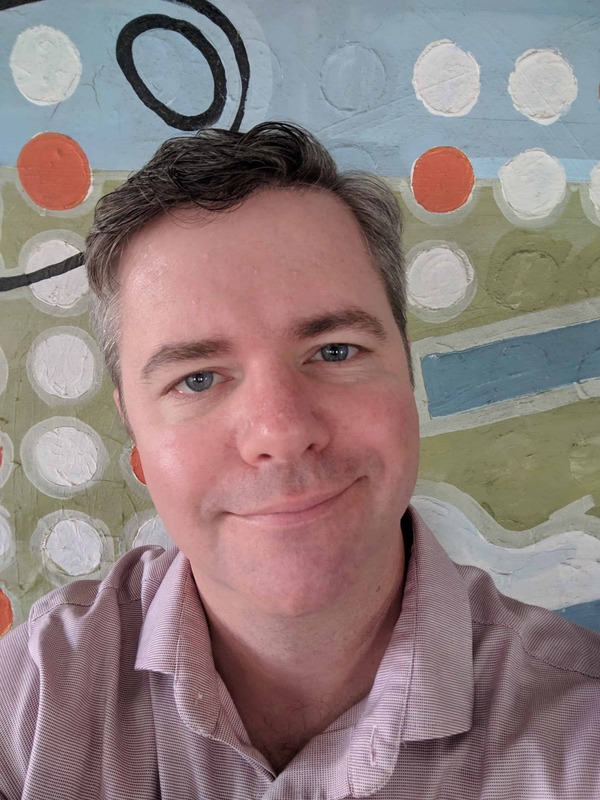 Zachary Hoover is the Executive Director of LA Voice and is in his thirteenth year with Faith in Action (formerly PICO Nat’l Network). 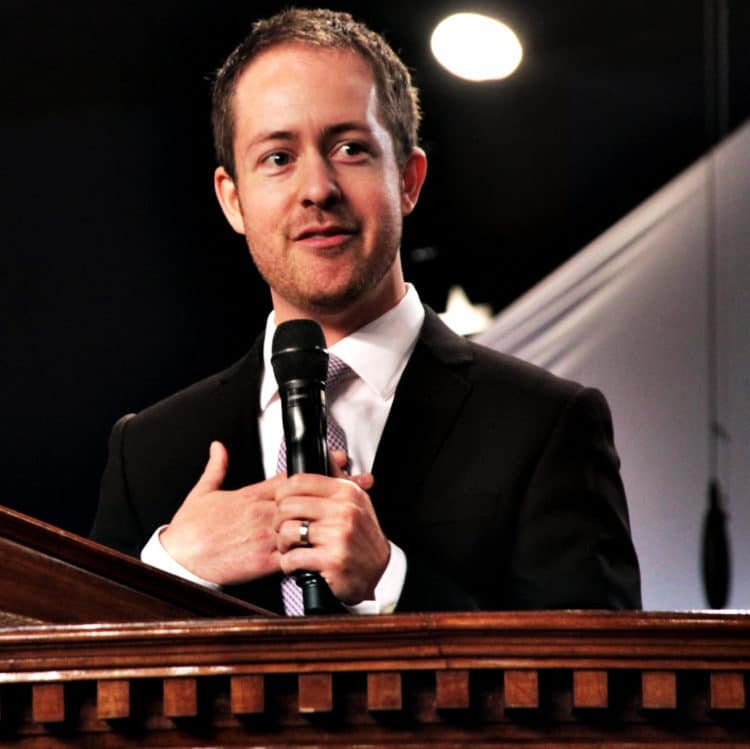 He holds a Master of Divinity from Harvard and is ordained in the American Baptist Church. Zach first learned organizing from Zapatistas in Chiapas, Mexico. Since joining LA Voice, he has led organizing campaigns that have dismantled unfair car impound policies targeting immigrants, increased access to groceries in food deserts, increased public accountability for reinvestment by major financial institutions, increased voter participation in communities of color, removed obstacles to employment for formerly incarcerated Angelenos, and bridged gaps between communities divided by race, class and geography. Seamus Hurley was born in the Boston area but has lived in Los Angeles since 1998. He comes from a background in labor organizing. His focus is on affordable housing and homelessness. 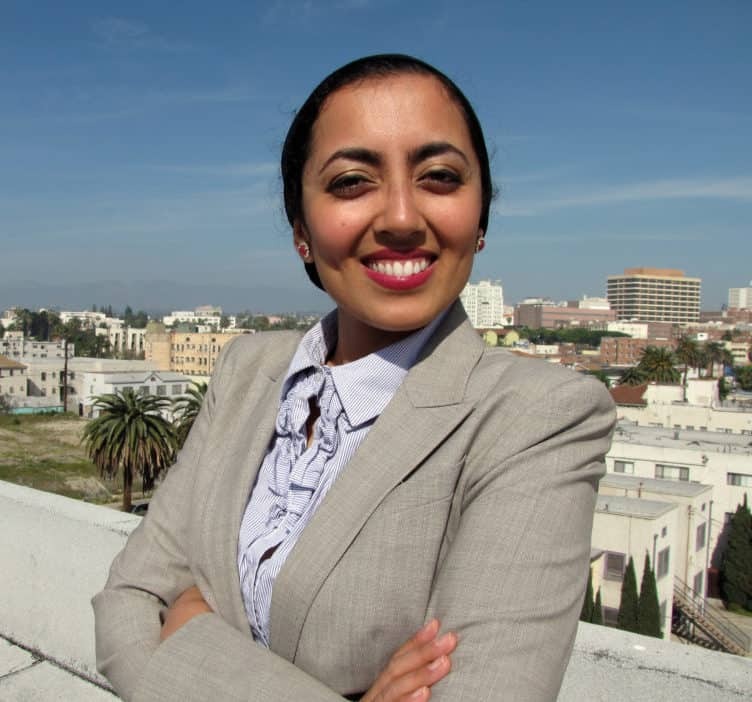 Sarah Jawaid is an organizer and certified leadership coach that has been with LA Voice for 5 years. She previously worked on criminal justice reform issues, particuarly with black and latino Muslims in South Los Angeles. Tim is currently Justice Transformation and Voter engagement organizer with LA. Voice. LA. Voice is a FBO that addresses the needs, issues of over 50 congregations throughout Los Angeles County. Tim has successfully completed the Americorps VISTA program, led two different teams of formerly incarcerated individuals in civic engagement and voter education campaigns. One team in 2016 that made a substantial contributions to the passing of historic legislation such as Prop 55, 56 and Prop 57, Prop HHH and Prop JJJ. The second team in 2017 helped to pass Measure H that resulted in billions of dollars in funding for housing programs, and support services that aid those communities of highest need. Tim most recently served as canvassing consultant and field team lead for AAVREP (African American Voter Registration Education and Participation) doing disenfranchised and low propensity African American, system impacted voter registration that netted 3,000 new registrations. Tim is also committed to stopping the insanity that has led to thousands of gang deaths of young men and women in the African American, Hispanic and communities that suffer from the highest impact of economic inequity. 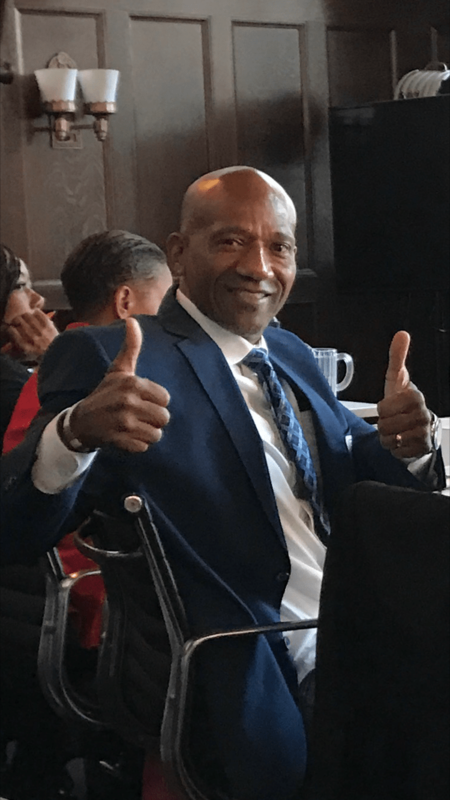 Tim’s works put him in relationship with numerous coalition organizations whose collective mission is to end mass incarceration, while increasing rehabilitation options across city, county and state agencies. To include but, not be limited to felony record change, job creation and access to affordable housing. Velvet Magallon joined our team as our first full-time Operations Assistant in September 2015. Velvet holds a Masters of Science in Nonprofit Management from the Milano School of International Affairs, Management and Urban Policy, and a Bachelor of Arts in Political Science from California State University, Los Angeles. 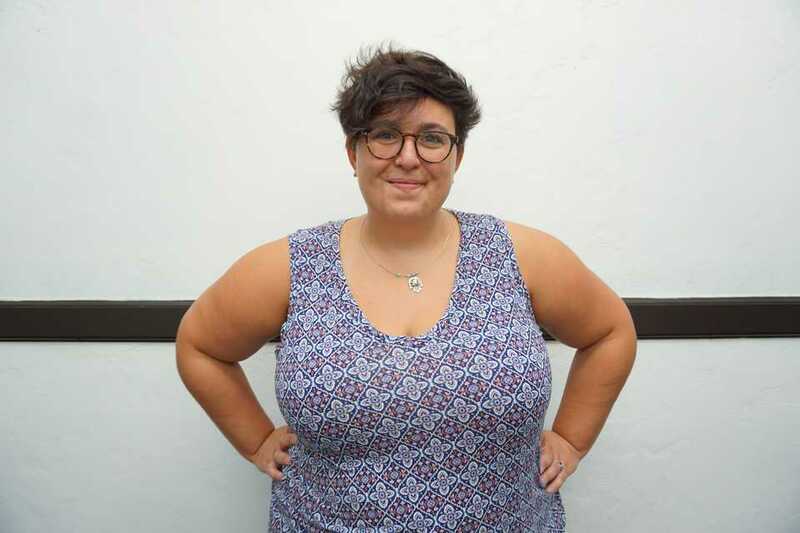 Her prior experience includes an administrative internship with New York City Councilman Ydanis Rodriguez and a position as Administrative Support Assistant at California State University Los Angeles. Minister Diane Michiko Ujiiye is an LA Voice Lead Organizer. Her background includes over twenty years of working in the fields of substance abuse, mental health, HIV/AIDS, and gang intervention, in multi-ethnic LA County. 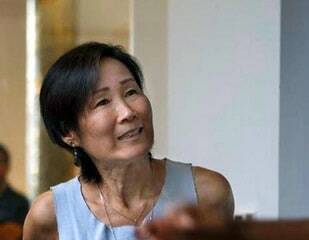 She has conducted civil rights and public policy advocacy for Asian Americans and Native Hawaiians/Pacific Islanders in California, resulting in the successful passage of state legislation. Diane holds a Master of Divinity degree from Fuller Theological Seminary. Angel Mortel is an organizer with LA Voice. She spent over 15 years in Brazil, serving most of those years with Maryknoll Lay Missioners. Her ministry involved organizing community health volunteers, coordinating an income generation project for women and fundraising for the national prison ministry of the Brazilian Catholic Church. Her passion for social justice grew out of her experiences in Brazil, but also from living and teaching in inner city Washington, DC and working with Bread for the World and Maryknoll Office for Global Concerns. Most recently, she managed the faith community outreach program at Brave New Films. Angel has a Bachelor of Arts in English and Third World Studies from Oberlin College and a Master of Arts in International Development from American University.